The world’s largest logistic service, Deutsche Post AG – better known as Deutsche Post DHL– announced that it’s going to start using drones to deliver medicines to those living on an island in the North Sea, marking the first routine drone delivery to customers and another step in the rapid advancement of the technology. Jurgen Gerdes, a Director of the postal service facility, said the drones would make a 7.5-mile trip each way to bring the medicines from the Seehund Pharmacy in Norddeich to the island of Juist, where fewer than 2,000 live. If the trial is successful, the craft could be used to deliver such packages to other remote areas or in emergencies. Our DHL Parcelcopter 2.0 is one of the safest and most reliable flight systems in its class. This is the first time an unmanned drone will do a transport job in the real world out of sight of a pilot. For the Juist project, Deutsche Post has received permission from the German transport ministry and air traffic control authority for a restricted flight area that will be used only by its parcelcopter. 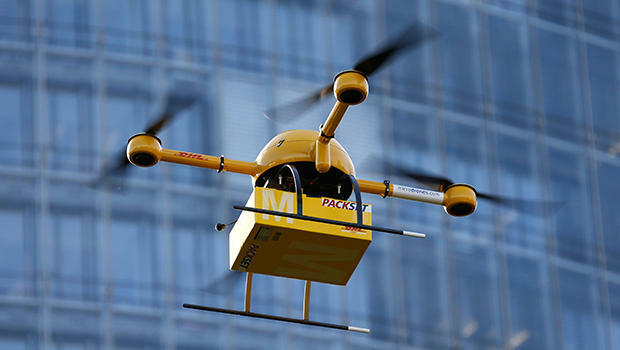 However, critics of delivery drones have raised concerns of privacy and whether the technology is safe, saying drones could hit other aircraft or even people. The craft has four rotors, weighs about 11 pounds and carry loads of up to 2.6 pounds. Its flight is completely automated, although it will be monitored from the ground and, depending on weather conditions, the 7.5-mile trip to Juist will take 15-30 minutes. The company doesn’t have plans to expand drone service delivery to other parts of the nation yet. Share your comments with us.